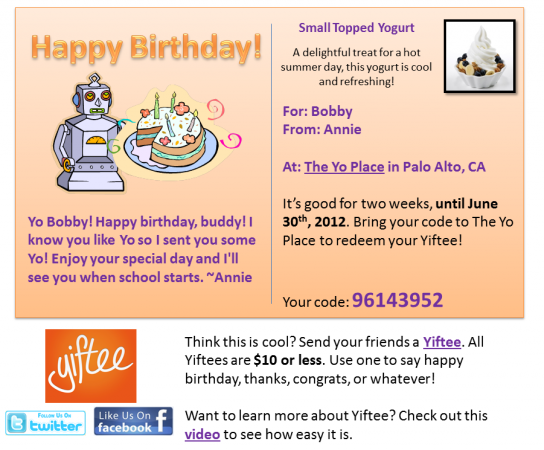 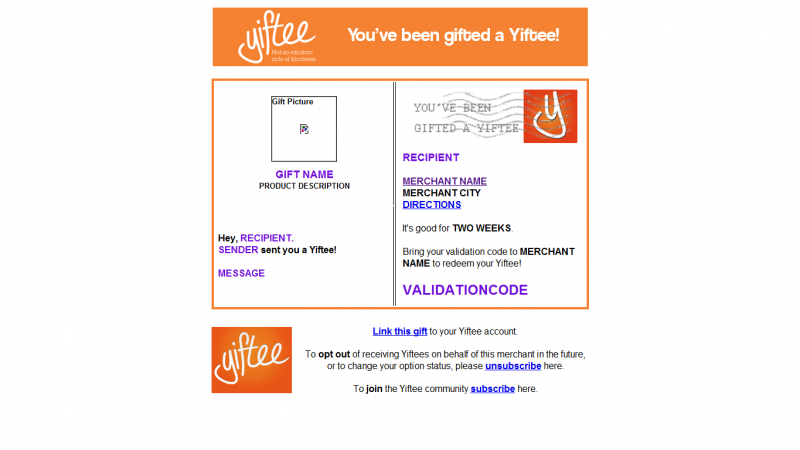 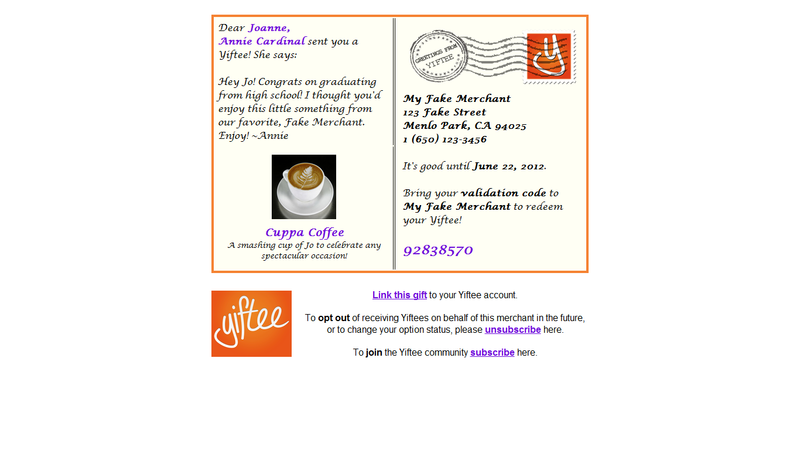 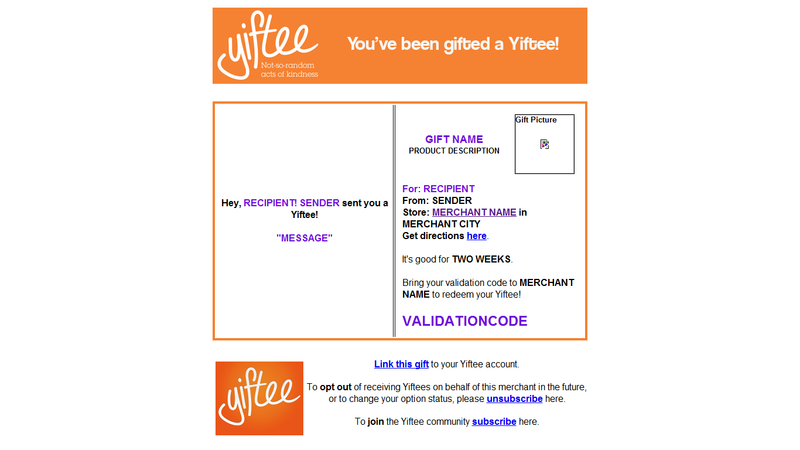 The Gift Email Template replaced Yiftee’s old and outdated template. The new template is more user-friendly and looks less like spam. The template transitioned from a generic email template to a postcard through the many iterations. 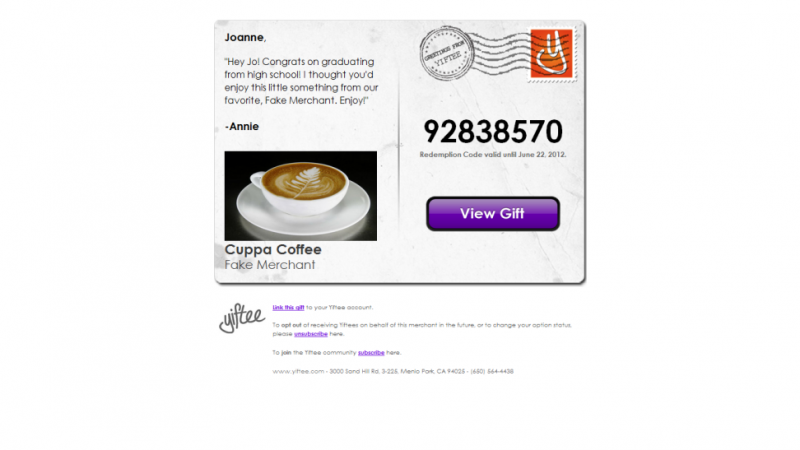 The mockups, shown in the slideshow, started in PowerPoint and transitioned to HTML.